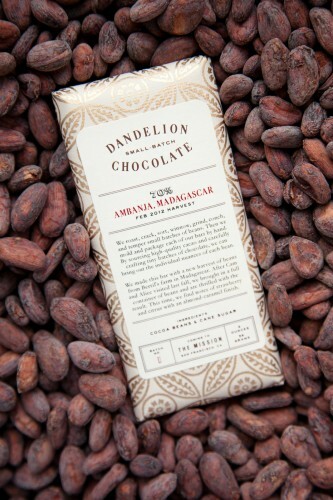 Join us for a private factory tour and tasting of Dandelion Chocolate's single origin chocolate and cacao. Our personal guide will walk us through the factory while we discuss, and of course, taste our way through Dandelion's bean-to-bar process. All your questions about production and chocolate will be answered. Before the tour, we will begin with a tasting of a few of their current single origin chocolate bars. The tour and mini guided tasting will last about 45 minutes to an hour. Any purchases can be made at their cafe which is open until 9 p.m.
After the tour, dinner is on your own. The Mission offers a diverse selection of restaurants to choose from for any attendees who would like to stay in the neighborhood for dinner.